You can almost feel the excitement in the air as the kids begin counting down the hours until the can step into their costumes and out to the street for a night of trick-or-treating and the candy buzz to follow. Parents are looking forward to pulling out their cameras to document this year’s costume and other households are getting ready to greet the kids who ring the bell and see this year’s variety of cute, scary, and creative outfits. Before the fun begins, our San Francisco injury law firm wants to take a moment to remind readers about Halloween safety. Halloween should leave behind great memories, with the only dark spot being an upset tummy from too much chocolate. However, Halloween can quickly turn tragic. In October 2011, SafeKids Worldwide http://www.safekids.org/our-work/research/reports/halloween-research-report.pdf (a group focused on preventing unintentional injuries to children worldwide) published a report on Halloween safety. Eighty-nine percent of the parents surveyed for the report said their children take part in some form of Halloween activity, with 73% reporting the activities included trick-or-treating. This leads to an increase in foot traffic and, unfortunately an increase in accidents. More than twice as many children die in pedestrian/vehicle accidents between 4 and 10 P.M. on October 31 than on a typical evening. Ensuring pedestrian safety on Halloween requires cooperation from trick-or-treaters and those driving during celebrations. Talking about pedestrian safety is always important, but parents should make special efforts to discuss safe travelling on Halloween. Safe Kids recommends parents accompany children under age twelve, although the report notes that a surprising 12% of parents (or one in nine) allow children age five or younger to go without adult supervision. Trick-or-treaters, like all pedestrians, should use sidewalks when possible and walk to the far left side of the road, facing traffic, when none is available. Likewise, they should cross at corners, obeying all traffic signs and looking both ways before crossing a road. Parents should remind children that it isn’t worth risking an accident just to get to another door more quickly – no piece of candy is worth risking their life or a serious injury. Driver should also take extra care on Halloween. Vehicles should slow down and drivers should stay alert, especially in residential areas. Distracted driving is always dangerous but the risk of an accident is even higher on a night where children are more likely to be out. It can be helpful to turn on headlights early to help increase visibility. Remember that children, especially excited children, are often unpredictable and may dart into the road unexpectedly. Costumes and candy, two of the hallmarks of the Halloween holiday, can also pose safety risks. Parents should ensure that costumes do not impede visibility and that children can move freely without tripping on any loose material. Ideally, costumes or treat bags should have some reflective elements and children should carry flashlights or glow sticks. The latter can be toxic so children should be supervised and told not to chew on or break open the sticks. Swords, sticks, and similar costume elements pose dangers both in terms of potential rough play and the possibility of stumbling and falling on the item. While studies suggest tainted candy is relatively uncommon, it is still wise to check items for tampering and throw out anything with torn packaging or any unwrapped items. 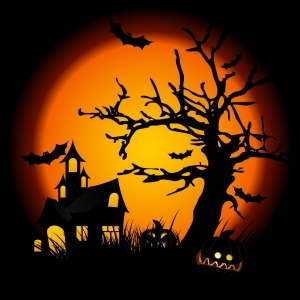 The San Francisco personal injury team at The Brod Law Firm wishes everyone a safe and fun Halloween. As always, if an accident does occur and you or your child is injured due to someone else’s negligence, please call for a free consultation. Remember that the law does not require perfection and you may still have a claim even if the injured victim failed to adhere to all safety guidelines.